Long Beach Moving Company is a popular local moving company serving the residents of Long Beach and its surrounding areas for a long time now and has made many customers satisfied with their full fledge moving services. Along with efficient moving services, the company is known best for its packing and unpacking services as well as logistic support. They are well aware of all the stress related with the moving process, thus works in dedicatedly in order to eradicate the stress and tension from the relocation process by implying their oh so perfect and reliable moving services. The company has a long-term experience in moving both residential and commercial spaces and till now has made n number of customers satisfied by successfully relocating apartments, villas, condominiums and office buildings. Other than this, the company has a team of fully employed professional movers who are capable in moving all your belongings with utmost care and respect, making sure that none of them are getting damaged during the move. They all have a pretty good experience about the ins and outs of the moving process, hence they work in order to make you fully satisfied and happy with the process done. All their movers will leave no stone unturned to make your move a successful and memorable one. They are the movers whom you can easily rely upon to make you move done right in all aspects, be it packing of goods or unloading them from the trucks, all your valuables are safe in their hands. All the reviews and rating of their happy customers always mark them as friendly, professional and efficient movers who are eligible in performing every type of move that too with utmost care and responsibility. It has not been a long time since the company got established, but its excellent services and affordable deals have already made a star company in the industry. Initially, the company was founded in 2012 and within such a short span of time, they have achieved a lot which includes thousands of successful moves and n number of satisfied customers, who currently acts as referrals for the company. The company has deliberately shown a remarkable growth by making moves successful and stress-free with their efficient and stupendous moving and packing services. And, today it is considered to be the most popular one in the local market. 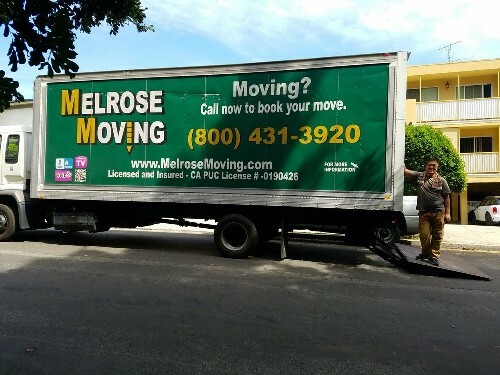 Ruslan R. has a long-term experience about the moving industry and currently serves as the owner of Long Beach Moving Company where he is fully dedicated to making each of his client’s move easy, stress-free and successful. And, under his guidance, the company has been able to survive in such a competitive market. 111 West Ocean Blvd, Ste 400, Long Beach.